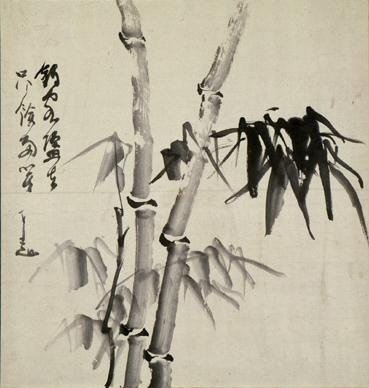 A common image in Zen poetry is of bamboo swaying in the wind. One explanation for this is that bamboo swaying in the wind moves – but it moves in an unforced and easy way. In the popular imagination, meditation practice and an “enlightened” state are sometimes seen as being marked by complete stillness and lack of motion. 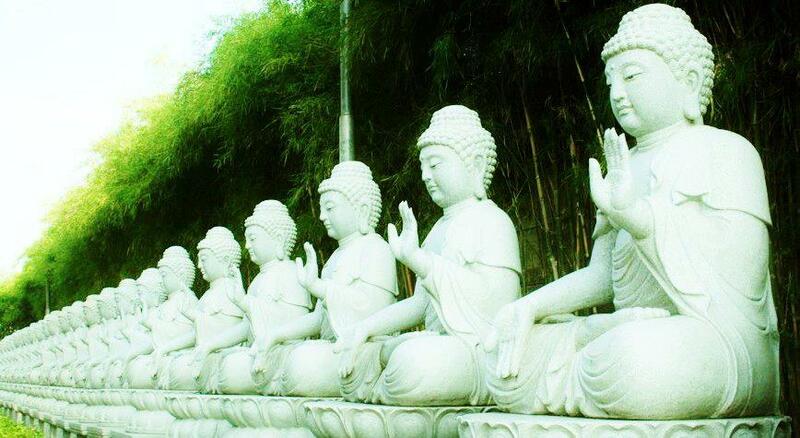 The image is of someone sitting perfectly still, with no desires, no thoughts, and no suffering. But as humans, we are always in some sort of motion. Daily life, of course, contains constant requests for action. Even if we are sitting as still as we can, for example cross legged in a meditation posture, usually our emotions are still rolling and our thinking minds are still churning. And even if we achieve complete mental stillness for a period of time, our veins are still pulsing with blood, and the breath is still rising and falling in our bellies. 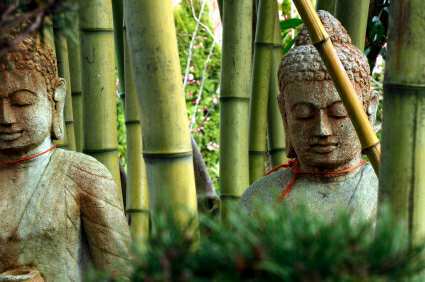 There is an ancient Zen saying that goes, “Brass Buddhas melt in a fire, wood Buddhas rot away, and clay Buddhas can’t pass through water”. So, sure, whatever, that’s true I guess but why make a big deal out of it? What I understand that teaching phrase to mean is, statues who look so serene and untroubled in their perfect stillness still have their weaknesses, and that stillness is not what we are trying to be through spiritual practice. I think that most people who pick up spiritual practice, however, are looking for more peace and stillness; we want our movements, thinking, and speaking to be easeful, unforced, non-compulsive, and perhaps even almost effortless. Rather than grinding and struggling against life and fighting to “make it” and survive, we want the spirit of life to flow through us, realizing and expressing itself through us, with positive actions, choices, and outcomes “just happening”. Many people have had experiences of being in the flow like that for a few minutes, hours, days, or months, and we orient much of our lives towards somehow trying to get back to that sense of freedom, flow, and good feelings. Spiritual practices, at their best, evoke in us an inner clearing and letting go so that the undulations of Infinite Spirit can express through our actions in a dynamic yet easeful way. “Dynamic yet easeful” … like, well, bamboo swaying in the wind. Once when I was living in a Zen Monastery, we had a movie night. They were of course both Buddhist movies: a professionally-produced German slapstick comedy about a couple bumbling guys who ended up in a Zen monastery in Japan, and a grainy lo-fi documentary of Buddhist/Taoist hermits living in the mountains of China. As I feel asleep that night, I realized that both movies, as different as they were, featured sections that simply showed bamboo swaying in the wind, and that those scenes felt pleasant and refreshing for me to watch. “Why did both movies have that same visual, and why did it feel so evocative, poetic, and meaningful?”, I wondered. I sat with the question for a while before it came to me. For early Chinese thinkers, the goal was to get beyond striving. The ideal person for them was in a state where they’re not thinking, where they were not exerting effort, not experiencing any doubts, and yet everything worked out perfectly. They were seeking “no trying” or “no doing”, an automatic flow of dynamic, effortless action, with elements of cultivated thoughtlessness and unselfconscious spontaneity. Like just being “on fire” when playing sports, you’re not thinking; you’re absorbed in the activity and everything is going perfectly. Some ancient Chinese philosophers considered this state a source of confidence without arrogance that, as a quality in others, people tend to find irresistibly attractive, and is the source of all success in life. One day I noticed that I was not breathing – I was being breathed. Then I also noticed, to my amazement, that I was not thinking – that I was actually being thought, and that the thinking is not personal. Thoughts just appear; they come out of nothing and go back to nothing, like clouds moving across the empty sky. They come to pass, not to stay. No one has ever been able to control his thinking, although people may tell the story of how they have. How can you control your thinking? It’s thinking you. You either think or you do not, thought either appears or it does not. Can you control the wind? What about the ocean? Thoughts are like the breeze through the leaves on the trees or the raindrops falling. Would you argue with a raindrop? Raindrops are not personal, and neither are thoughts. When the wind blows through the scattered bamboos, they do not hold its sound after it has gone. When the wild geese fly over a lake, it does not retain their shadows after they have passed. So the mind of a superior meditator begins to work only when an event occurs; and it becomes a void again when the matter ends.